Security is something that anyone will never compromise with. 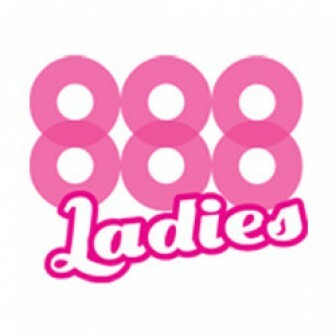 Moreover, in my opinion, bingo players should be more cautious about their selection. Mecca Bingo is a well-established brand in the UK and follows high standards to keep their players safe from online frauds. Mecca has over 50 years of Bingo experience and they have more than 3.5 Million satisfied customers. Mecca Bingo is a part of Virtue Fusion network and holds the gambling licences of the Alderney and the UK Gambling Commission. They use modern techniques for player protection, fair gaming, a realistic outcome of games, safe transactions and everything else that is related to online security. Here are the details of the certificates that Mecca holds which proves the legitimacy of their site. 1- Welcome Bonus -> Register, log in and spend a tenner on bingo and get £40 to Play With! 2- Extra Bingo Bonus -> Deposit & Play 10, Get £5 Bonus everyday! 4- Enjoy hassle free cashouts with just 2X Wagering facility! Besides that, if you are bored of online gaming and want lively fun, pay a visit to the nearest Mecca Club and join the real excitement with the wonderful crowd. Customers can apply online for the membership with their best mobile number. Mecca Clubs have organised a surprise offer for registrations made before 5th June 2016. They own more than 143 clubs with 5 million members & over £42 million giveaways per week. Click Here to read the exclusive review of Mecca Bingo regarding Wagering Requirements & Withdrawal of funds. 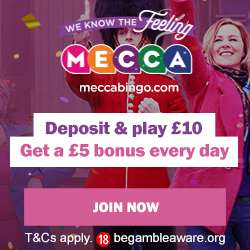 • Support – Live Chat, support@meccabingo.com, By phone at 0800 083 1988 or through the post. The credibility of Mecca has increased a lot in the last couple of years. 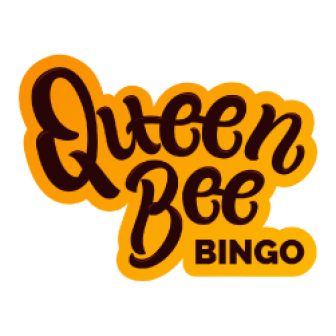 Thanks to their outstanding award winning team which has created a landmark in the history of online bingo. A must play bingo destination for true bingo lovers. Highly Recommended.